UPDATE: Hailey’s remains have been found. Please click here to read the story. Update: KTXS reports that Billie Dunn was notified on Tuesday that remains have been found, although they have not confirmed the identity. 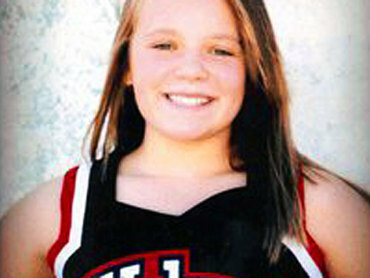 You may have already heard that human remains have been found in Big Spring, Texas which is about 40 minutes from Colorado City, Texas where missing 13-year-old cheerleader Hailey Dunn went missing in December of 2010. I have followed this case closely. First, because I was intrigued by Billie Jean Dunn’s (Hailey’s mother) openly allowing the media to come and go freely in her house. I was also behind her when she “kicked” Shawn Atkins (her live-in boyfriend) out of her house when the police told her that Shawn failed the polygraph. But then Billie did a stupid thing, in my opinion, she let Shawn back in the house. I was angry. In my opinion, by letting Shawn back into her life, she was weak and she had turned her back on her own child. As time progressed, it became more and more apparent that Billie was unable to tell the truth. Lying to the police in fact about where Shawn was. Now 15 months after Hailey disappeared, she may have been found. There has been absolutely no confirmation from authorities yet on who it is, but judging by their behavior as compared to what has been done in the past, this finding of the remains yesterday is being handled differently that any others. About a year ago, there was another body was found that fit the description of a woman that had been missing. I had become to know the daughter of that missing woman and called her to find out if she knew anything about it. The media was already “hintingly” reporting it was her mother, so I was extremely cautious with my wording, and worried the daughter may not have heard anything from the police yet. I was surprised by what she told me. She said that she had been called way before the media found out a body had been found and was notified that it was not her mother. With that, I can only assume that IF the police knew that this was Hailey, or even had an inkling, they would have certainly have called Billie and told her, before it got out to the media. I have not seen any statements come from Billie yet, so I don’t know if she has been notified. I did read that a reporter called Billie on Tuesday, and she didn’t answer the phone, but Shawn did. According to the reporter he seemed surprise and said he had no comment. the body was that of an elderly male.